Sneakin’ Out brings good luck to your Friday the 13th. They are once again packin’ the house, so grab your seats and beer before the show starts at 9:00 p.m.
Sneakin’ Out originally met while working on a musical project in Michigan, and after hearing each other at mutual music performances, they decided to form their band. From that point on it was full speed ahead. The band has also focused on original tunes that showcase the unique sound of the trio. Sneakin’ Out opened for famous singers including kd lang, John Jorgenson and Pink Martini. Their CD, Train Wreck, is available to listen to as well as purchase on My Space. Click here for a preview of their performance. Sweet Home delivers a combination of Rock-Folk-Pop and Americana on Saturday, September 14th, at 9 pm. 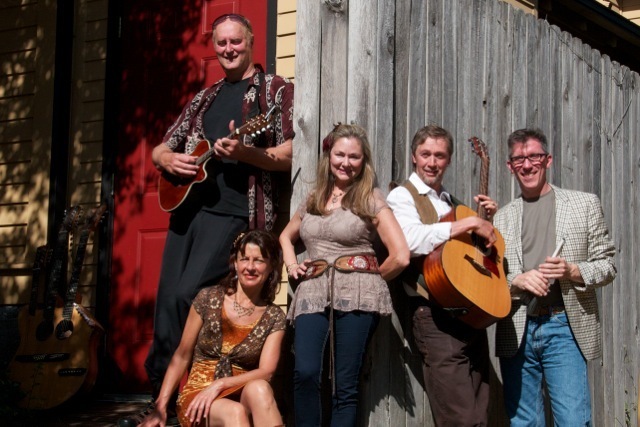 Original songs offer vocal harmonies that weave stories of love, heartbreak, and the ups and downs of life. With guitar riffs and mandolin accents, Sweet Home creates a unique sound. “The process of creating and performing together helps us define who we are. Our mission is to create a common dream through music that reflects the world we want to live in.” says Sweet Home. Feel free to listen to their music at Reverbnation. Join Mock Crest Tavern and “Sneakin’ Out” on Friday night at 9:00 p.m. January 11th. They’re a MCT favorite, with people traveling in from Washington to grab their seats a few hours early. So if you enjoy acoustic and alternative sounds, you won’t want to miss these guys. Sneakin’ Out has opened for famous singers including kd lang, John Jorgenson and Pink Martini. Their CD, Train Wreck, is available to listen and purchase on My Space. Check them out on myspace. 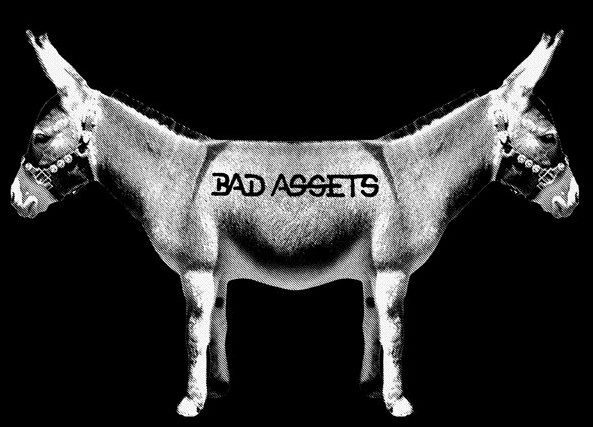 Join Bad Assets Saturday night at 9:oo p.m.
Bad Assets are a whiskey-soaked country rock band from Portland, Oregon. Motor Jeffries, the bands primary song writer, decided to write a collection of songs about the drive through Oregon on Interstate 84. After a few years, playing with different bands, and a lot of beer and whiskey, Bad Assets is proud to announce, they have accomplished their goal. Enjoy the road trip right along with them through their music. The journey takes you from Stumptown, across the state line towards the potato processing plants, stops by a bottom shelf liquor distillery, a washed out waterfall, rodeo country, and an abandoned cement factory. Bad Assets is creative and loads of fun, something we all need a bit more of. Enjoy their music on myspace. Since I’m sure their music will win you over, continue your support on twitter at https://www.twitter.com/thebadassets. Speaking of twitter, feel free to follow Mock Crest at https://www.twitter.com/MockCrest. You’ll see the daily specials posted as well as upcoming events. Mock Crest offers a fun place to drink, hang out, fabulous burgers and daily specials!